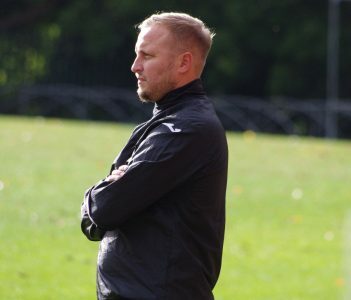 Lee Morris admits Worsbrough Bridge’s recent slump in form has been a wake-up call for his players. Surprise package Worsbrough flew out of the blocks like a Crash Bandicoot and were joint top at one point. However, his side have only won one out of their last four league games. Morris told Non League Yorkshire: “The manner in which we are losing is a concern. “The last few games have been a major reality check. The players got carried away with how we did and I keep saying that to them. Their latest loss was the 5-1 defeat to title favourites Grimsby Borough on Saturday. It was always going to take an effort worthy of superheroes to topple Grimsby and Morris said: “It was a free shot against Grimsby and that’s exactly what I said to the players. “It was a free hit. Everyone when they saw the fixtures, will have thought that Grimsby would go to Worsbrough and beat them. “But we didn’t turn up which is frustrating. We didn’t turn up until we were 4-0 down and we started passing it. They are a very good team though and very clinical in the final third. “Whoever finishes above them will win the league. They have Evo Stik players playing in NCEL Division One. Morris remains on the lookout for new signings, despite a recent recruitment drive. Rob Oldham, Connor Rollinson and Ash Emmett, among a few young players have signed for Worsbrough in the past few weeks. One position is hoping to strengthen is his forward line to fill the void left by the injured Joe Dungworth. “It is a strong Worsbrough team and we have strength in all areas, especially the full-backs with Rob and Connor coming in,” he said. “They bring experience and they are very good on the ball. Midfield-wise I think we are strong, but upfront we are lacking a little bit. “I feel for Jack Mawson because he’s working his socks and the lads aren’t rewarding with chances to score goals. “It has been hard trying to replace Joe Dungworth. He’s a massive loss, on-and-off the pitch. You can’t replace someone like him because he’s fast, he scores goals and he holds the ball up. “Without having £100 a week to spend on a striker, it is difficult. I’m still on the lookout and that’s why I’m at a game most nights, but I don’t want players coming and their first question being: ‘how much’?